Street Lit and urban fiction reader's advisory, collection development resources, book reviews, reading lists, and author interviews. This blog focuses on adult and YA street literature and programming in public libraries. ">Maggie Anderson, shows why the black economy continues to suffer and issues a call to action to all of us to do our part to reverse this trend. The author made copies of her book available for purchase after the presentation. 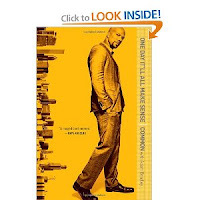 Are you reading Common's new book "One Day It'll All Make Sense"? Common's new book, "One Day It'll All Make Sense", is Oak Park Public Library's Phat Fiction Street Lit book club title for April. 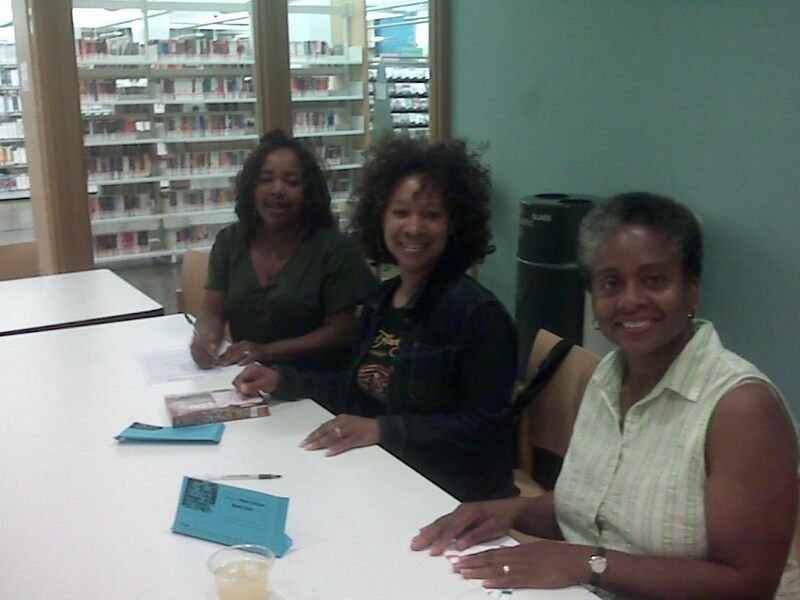 The Street Lit book club meets on the 4th Wednesday monthly and is open to the public. Book club titles are available for checkout from the library one month prior to the discussion. Phone the Adult and Teen Services Department at(708) 452-3480 for details. What is Street Lit? Part romance, part true crime and part morality tale, with liberal doses of erotica, these riveting stories could have been ripped from the headlines – indeed, their plots are the stuff of tabloid fodder. Yet, street lit blends the mundane familiar with the exotic and the result is tantalizing stories, unforgettable, if lamentable, characters and more drama than a soap opera marathon. 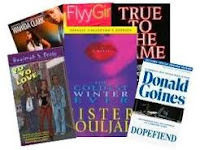 If there is any doubt that this sub-genre of African American literature has ‘arrived’, one has only to look at the number of urban fiction imprints created by mainstream publishing houses like Hachette Group’s Grand Central Publishing, Simon & Schuster’s Atria/Strabo imprints, St. Martin’s Press, to name a few, or witness the surge in independent publishing of street lit titles in print and in electronic format on Kindle. Libraries and bookstores report difficulty keeping Street lit titles on the shelves because demand is so high. 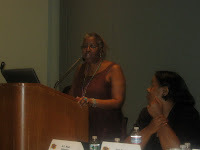 The steady rise in popularity of urban fiction comes as no surprise to its devoted audience, authors and reviewers. Still, despite its ubiquitous presence, many readers unfamiliar with the genre are hard-pressed to explain what it is, or rather, what it isn’t. Fiction writing of celebrated mainstream Black authors like a James Baldwin or Toni Morrison is imbued with the spirit of the urban experience and its impact on the lives of people of color. But while struggles against racism may lie at the center of these and other canonical Black authors, street lit takes a different approach to the problem of ‘the other’. Here ‘the other’ is everyone outside the sphere of the inner city; ‘being on the block’ defines not only a physical periphery, but a psychological designation as well. Within the street’s confines every stripe of humanity vies for territory, stature, material gain, status, and above all, respect. Just as “Gossip Girl” is urban fiction of Manhattan’s Upper West Side, “True to the Game “ is anchored in the vernacular of inner city Philadelphia. Street lit authors place their action in Northern industrialized cities or the ‘dirty South’. While their characters make no apologies for living in the ‘hood’, they strive always to ‘live large’, to exert their influence and acquire the trappings of a luxurious lifestyle by any means necessary. Impeccable style is a key ingredient of these stories. The extravagant cars, lavishly furnished homes, ‘phat’ (pretty hot and tempting ) designer exclusive attire, expensive jewelry are described in meticulous detail and the swagger with which these accoutrements are ‘rocked’ or displayed is all-important as well. But, like Mafia tales and gangster mythology, the accompanying violence surrounding these ill-gotten gains often extracts a high price including, ugly addiction, prison, or grisly death. A compelling distinction of Street Lit is that it places African Americans at the heart of the action, not merely as bit players, sidekicks, or walk-ons. Though other races may be represented, their appearances are marginal, and Afro-centric language, slang, parlance and world view hold center-stage. In street lit, the set-pieces of Black culture; the beauty shop, barber shop, nail salon, and church, are recognizable, authentic and explored with equal candor alongside the less savory aspects of the street culture of prostitutes, drug dealers, pimps, and gangsters. Finally, street lit is the literary component of the Hip Hop music movement and it is no accident that Hip Hop music terms find their way into the literature. The club (dance hall) is an important site where urban ‘griots’ gather to ‘get down’, ‘chill’ exchange information, to hold court, or settle scores. Just as Hip Hop music amplified the urgency of street life in a whole new way, street lit is framing that life for readers. People identify with the lives and stories reflected in these novels and are eager to find these books in their local libraries and bookstores. The Oak Park Public Library Phat Fiction Street Lit Book Club, meets to discuss street lit titles on the fourth Thursday monthly at 7 pm in the library’s main branch. The book club is free and open to the public and books are available for check out to library patrons one month in advance. A schedule of upcoming book club titles is available on the library’s web site calendar. Phone the Adult & Teen Services desk at (708) 542-3483 for details. 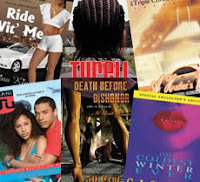 If you have longed to explore urban fiction like Sister Souljah's The Coldest Winter Ever, Dutch by Teri Woods, or Section 8 by K'wan, then this book group is for you. Whether you are a passionate lover of the genre or have a mild curiosity about its characters, our monthly discussions will aim to illuminate and inform. Join us on the fourth Thursday of each month and discuss these novels over light refreshments. Whether your teen population is urban, suburban or rural, they’re talking about street lit. What is this genre and how can you incorporate it into your library? Join Megan Honig, author of Urban Grit: A Guide to Street Lit, for a conversation about street lit. Megan will discuss how to use street lit and why it is important to incorporate it into your library’s collection. Participants will also receive a list of street lit resources. As a Reader's Advisor in a public library, I am frequently suggesting, reviewing and purchasing books for teens. I'm very interested in what teens are reading and why. And, more and more, what they're asking for are books of urban fiction. So, this blog will be a place to discuss, review, suggest and talk about the allure of what I call, PHAT Fiction-Popular, Hip and Tempting fiction-and how librarians can engage this genre in the public library. Make your voice heard, vote! Subscribe To PHAT Fiction blog! Follow the PHAT Fiction blog! Librarian interested in urban fiction.